Field-based training is meant to have trainees exercise all the skills they’ve been acquiring the first 5 weeks of training. 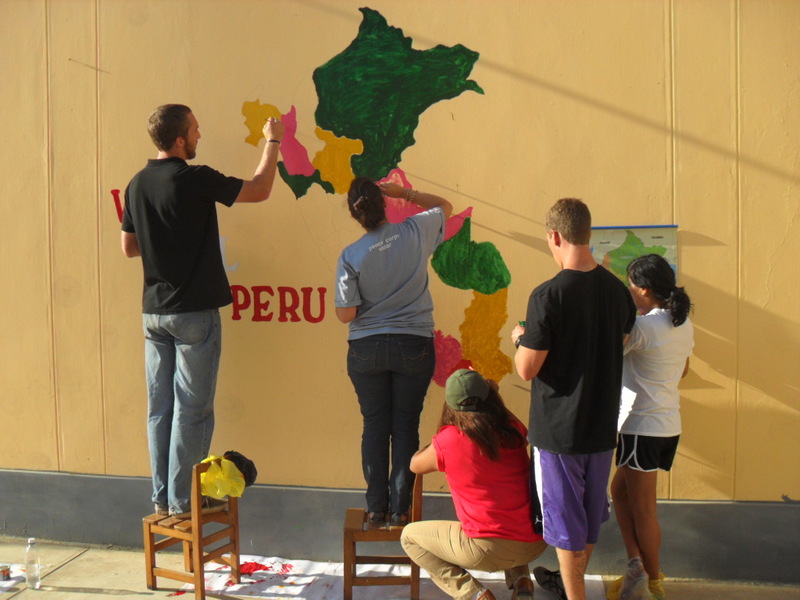 Youth volunteers were split up into 3 groups of 10 and each sent to different regions of Peru to meet current volunteers and have pre-arranged facilitations at different schools/educational centers. Our group of 10 was sent to La Libertad (northern coast), while the other groups went to Ancash (the mountains) and Ica (southern coast). I was really excited the week leading up to FBT and then really stressed the week after we got back from FBT. It was a great opportunity to see other parts of Peru, because Lima isn’t at all representative of the country, BUT it’s an exhausting trip. Seriously, Im tired just thinkinggggg about how tired I was that week. Trujillo is amazing! For those of you coming to visit, we’ll probably head up there. The beach, Huanchaco, is only about 15 minutes away and heavily populated by tourists because of all the surfing. Fast forward to the day we got our site assignments…guess who was the lucky volunteer chosen to replace Speare in his site. ME! Everyone kept saying ‘oh wow!’ with a big look of surprise so you know it was a big deal. Although nerve-wracking at first, I’ve come to see the positives of replacing a great volunteer, like the fact that he left a wonderful impression of the Peace Corps and a plethora of motivated contacts to work with. So there it was, with only a few weeks left of training, I found out I’d be spending the next two years with the wonderful people of Olmos, Lambayeque, Peru! So proud of you honey 🙂 Its a small world the Dr’s wife that I work with is from Lamayeque. I heard it’s very beautiful!!! I wanna see lots of pictures…We miss you so much!